1st Regiment Cavalry Washington D.C. Organized (4 Cos., "A," "B," "C" and "E") at Washington, D.C., June to December, 1863, for special service in District of Columbia and to be subject only to orders of War Department. Attached to Defenses of Washington, D.C., 22nd Army Corps, to January, 1864. Cavalry Brigade, U.S. Forces, Yorktown, Va., Dept. of Virginia and North Carolina, to April, 1864. (8 Cos. organized at Augusta, Me., January to March, 1864, and ordered to report at Norfolk, Va.) 1st Brigade, Kautz's Cavalry Division, Dept. of Virginia and North Carolina, to June, 1864. 2nd Brigade, Kautz's Cavalry Division, Dept. of Virginia and North Carolina, to January, 1865. 2nd Brigade, Cavalry Division, Dept. of Virginia, to August, 1865. Cavalry, Dept. of Virginia, to October, 1865. SERVICE.--Duty in the Defenses of Washington, D.C., until January, 1864. Skirmish near Annandale, Va., October 22, 1863 (Detachment). Bealeton, Va., October 24. Ordered to Dept. of Virginia and North Carolina, and on duty at Yorktown, and a portion of the Regiment at Portsmouth, Va., dismounted, until May, 1864. 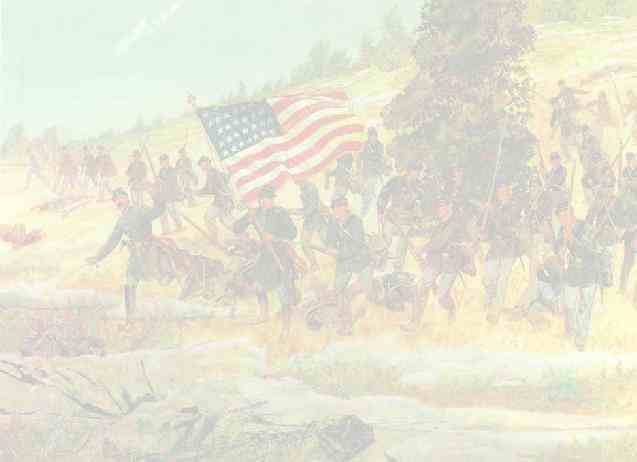 Kautz's Raid on Petersburg & Weldon R. R. May 5-11, 1864. Double Bridges May 5. Stony Creek Station May 7. White's Bridge, Nottaway Creek and Nottaway R. R. Bridge May 8. White's Bridge May 9. Kautz's Raid on Richmond & Danville R. R. May 12-17. Belcher's Mills May 16. Petersburg June 9. Assaults on Petersburg June 15-19. Siege operations against Petersburg and Richmond June 16, 1864, to April 2, 1865. Wilson's Raid on Southside & Danville R. R. June 22-30, 1864. Staunton River Bridge, or Roanoke Station, June 25. Sappony Church, or Stony Creek, June 28-29. Ream's Station June 29-July 3. Demonstration on North Side of James River, with engagements at Deep Bottom, Darbytown and New Market Roads July 27-28. Sycamore Church August 9. Ream's Station August 21-23. Dinwiddie Road, near Ream's Station, August 23. Ream's Station August 24-25. (Cos. "D," "F," "G," "H," "I," "K" and "L" transferred to 1st Maine Cavalry August 27, 1864. Other Cos. consolidated to a Battalion of 2 Cos.) Prince George Court House September 1. Sycamore Church and Blackwater River September 3. Sycamore Church September 15. Cox's Mill September 15. Coggin's Point September 16. Darbytown Road October 7 and 13. Fair Oaks October 27-28. Russell's Mills November 23. Bellefield Raid December 7-12. Expedition to Fernsville and Smithfield February 11-15, 1865. Appomattox Campaign March 28-April 9, 1865. Dinwiddie Court House March 30-31. Five Forks April 1. Gravelly Ford on Hatcher's Run April 2. Near Amelia Court House April 4-5. Dinwiddie Road and Sailor's Creek April 6. Farmville and Prince Edward Court House April 7. Appomattox Station April 8. Appomattox Court House April 9. Surrender of Lee and his army. Expedition to Danville April 23-27. Duty in the Dept. of Virginia until October. Mustered out October 26, 1865.